It's a treat to meet someone just starting out in fruit and veg. After all, many on this Market grew up in the trade. 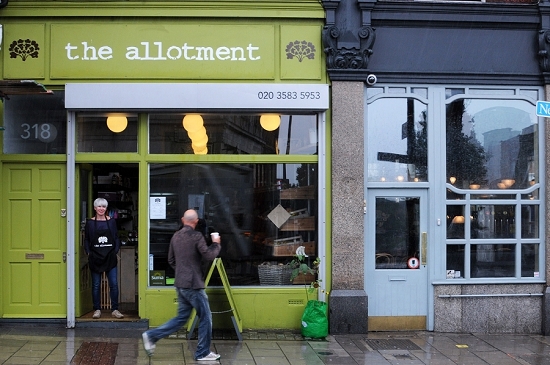 Last year, Gill Jones opened The Allotment, a grocery shop in New Cross. She makes the run to Covent Garden twice a week. "I haven't met anyone on the Market who wasn't friendly," Gill says. She tried New Spitalfields at first, but found the traders less approachable. 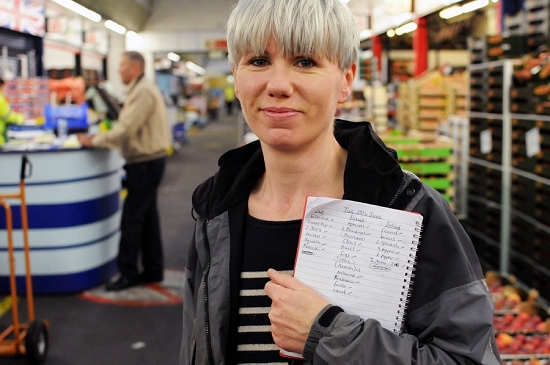 Gill mainly pre-orders from P & I, topping up from other wholesalers: "I really like going to market and seeing what’s around." The atmosphere on Buyer's Walk is all part of the experience, she says. "There's nothing else like it. You feel part of some secret thing that happens overnight." Her shop is on New Cross Road in Lewisham, close to Goldsmiths College, so students are vital customers. She sells all of her produce loose ("They can come in and buy two mushrooms.") 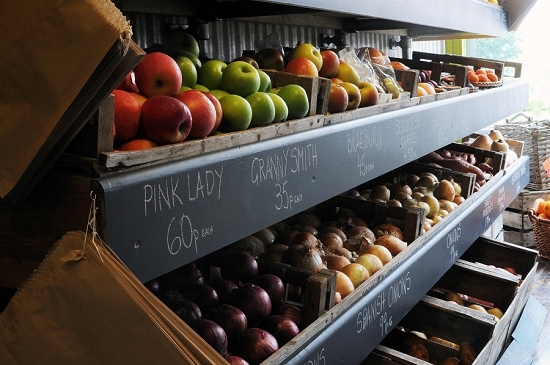 and also offers weekly veg boxes. "It's been nice getting to know some young people," Gill explains. "Living in New Cross you tend to see the students as a separate species." 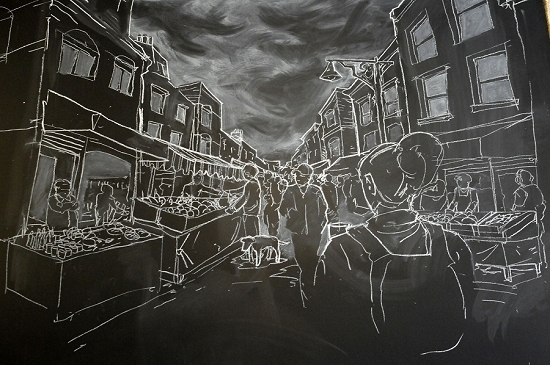 One art student even drew this fabulous chalk mural above the counter. Her business is doing well, despite the presence of supermarkets nearby. Within two miles, both Tesco and Sainsbury's have large stores, plus their smaller express-style outlets and own-brand petrol stations. Aside from fruit and veg, The Allotment stocks staples such as cheese and bread alongside specialist lines such as spices, tofu, preserved lemons or Japanese miso paste. Craft beers will soon join the list. The interior is striking in design, with stylish shelves constructed from steel scaffolding or roughly hewn wood. 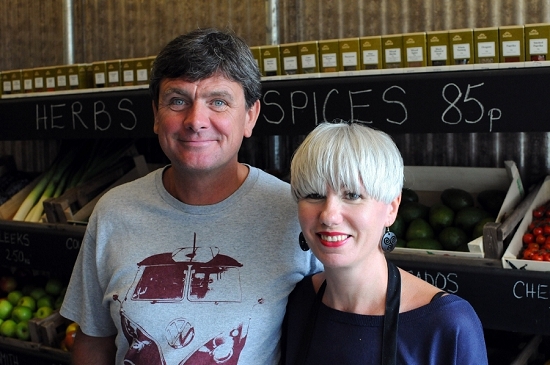 For this modern aesthetic, much credit is due to her partner Paul Breen, who also helps to run the shop. "We're busy all day every day – 12 hours a day," he says. 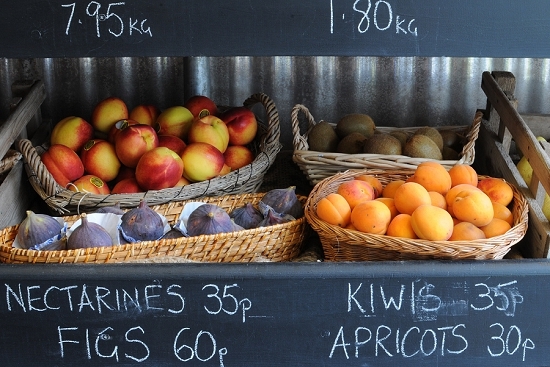 So why choose a fruit and veg business? Gill used to work as a gardener but got tired of both the seasonal nature of the work and the fact she was often alone. Her mother had previously run a shop. Living in New Cross, Gill knew the area well and spotted this opportunity. Any regrets? It was hard at first, she says. She even lost one and half stone in the first month of trading. But she loves the variety of the work, and now the shop "kind of runs itself."